In house fighting, protests, empty seats – safe to say, Arsenal football club isn’t the best place to be at the moment. The atmosphere is quite toxic, yet I still keep going. 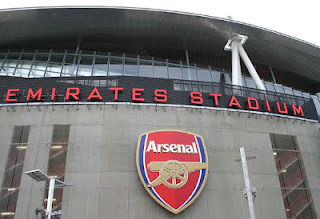 Being slightly controversial, the West Brom game at home was most enjoyable game I’ve been too recently – yes it had empty seats however, because of the situation, many kids had come with their parents, grasping the opportunity to watch Arsenal play. The enthusiasm shown by them was refreshing. There are probably too young to understand the politics and were funded by their parents so they just came for the Arsenal. They didn’t care if it’s Wenger out or Wenger in and probably have no idea what WOBS or AKBS are (mind you, it took me a while to understand – in game that I have been brought up to understand as something that is not black or white, yet…) and even cheered Theo Walcott! It helped that Arsenal won, and it was quite an easy evening on the pitch - I wouldn’t go far as saying West Brom were hopeless but let’s say they were clearly saving their energy for their big game at White Hart Lane. Don’t get me wrong, it was refreshing but I wished we were in a title race and right up there. Can you imagine the reaction with 60k packed in the ground and Arsenal chasing a title when the second Alexis goal goes in – it would have been magical. We enter Saturday with the word ‘protest’ ringing in our ears – in fact, the word protest has been mentioned over 300k times on social media, admittedly only a small % would be Arsenal related but the word protest isn’t something Arsenal fans have come to see (much) in the last twenty years. There have been a few but this one feels different and much bigger. It’s an interesting one – I’m a board member of the Arsenal supporters trust and despite what people think, we have a number of conversations behind the scenes, scan social media, use the results from our surveys to members, talk to members at meetings and read, listen and respond to all the emails we get in (we get quite a few) to help us with our stance. For years, I’ve been very pro Arsenal – I would say, compared to most, I still am but even I couldn’t argue against all the people who wanted to support this protest but at the same time, you have to be fair to every member, and respect the wide range of views. I’m also a part of The Gooner Ramble which is a podcast / blog with various social media aspects – we all have differing views but as we are not a fans group and feel we do not need to get involved too much in things like this. However, every members thinks something has to change. Some won’t be at the game on Saturday so in terms of this particular protest are irrelevant but still should have an opinion. Lastly, I’m a supporter and Fan – I go home and away and into Europe so as much as the AST position or the Gooner Ramble position is important for me, the most important thing is for me to do what I want to do. Even if the AST were strongly supporting a protest, it does not mean I have too personally and I make that clear with my fellow board members and our members. Like in any company, if you get out voted, you get out voted (not suggesting I was outvoted here!). The protest is one that every individual has to decide for themselves – that’s the reason (and I’ve spoken to other fan groups and people that came up with the idea) the words are quite vague; a protest about something specific can divide supporters. Protesting about Arsene Wenger would certainly divide supporters and despite what some individuals have said, it’s not a specific Arsene Wenger protest. It’s not even really a Anti Stan protest (as a few newspapers said), it’s simply a ‘something has to change’ protest, whatever that may be. Do I think it’s time for a change? Yes, I think home ticket prices could be lower, I think TV companies changing kick off times with limited notice should be changed, I think Beer at the ground should be cheaper, I think Arsenal should have added to their squad last summer, I think the major shareholder should come out and talk to supporters more, I think there should be more initiatives to get younger fans to the Emirates (young guns section is obviously a good thing but isn’t selling out and there could be reasons for that which the club need to look into it), more football people on the board etc. I think there is plenty at the club that needs to change. Dare I say it, Arsene Wenger will not go on forever, there must be a plan for when he does move on (whenever that will be), does he stay at the club in some capacity, does he go completely, if so, is there a project plan in place? Will I print out the #TimeForChange stuff and display it – I honestly haven’t decided yet. On one hand, I think certain things do need to change but on the other, there is a game to win. One of the biggest fears I have is surrounding our two key players- Mesut Ozil and Alexis Sanchez. Both have hinted they will wait till the summer before they sign a new deal and that scares me. But you know what, I don’t blame them, why would you sign right now? Arsenal fell out the title race in some fashion, have had a hopeless 2016, fans are not happy so waiting till the summer, waiting till they see what the club do, what happens with Arsene Wenger is quite natural. Arsene Wenger may have said he is confident they will sign, but I’m not so sure. I don’t think Arsene Wenger is either but saying anything otherwise would invite bids from top clubs across Europe and unsettle the two players further. Liverpool walked out in a game as an protest against Sunderland when they were 2-0 up and went on to draw 2-2; if something similar happens at Arsenal and points are dropped and the unthinkable happens with Arsenal falling out the top 4 then I think we can say good bye to Mesut and Alexis; I can’t get that thought out of my head. The AST and AISA have both said that fans need to decide for themselves and I think that is the only way – something does need to change but Arsenal need to win a few games to ensure they are in a better position to keep their best players. Having spent yesterday morning with Leicester and Spurs fans, it was evident that Leicester fans do think they will end up as champions this season. Mind you, the scarfs were a good giveaway on Sunday. It’s clear that the title IS Leicester’s to lose. Seeing and speaking to Ian Wright yesterday gave me an insight on how a footballers mind should be working – realism that it’s Leicester title to lose but at the same time, remembering that football can be a funny old game and if they were to slip up (he doesn’t like the word bottle it!) and Arsenal didn’t take advantage, that would probably hurt more than not being in the position to win it in the first place. Another ex pro, who has won the Premier League title as an underdog was Alan Shearer for Blackburn who also gave his view a few days ago – he said even though he believes Leicester will win the title, they WILL start feeling the pressure in the last 5/6 games when everyone believes they have done it as he did with Blackburn. He went on to say that Blackburn were lucky others didn’t take advantage. For me, giving up isn’t an option – why would you? At the worse, we should finish second – finish below Spurs? Behave. We are one point behind them IF we win our game in hand at home against West Brom. ONE POINT! I hope the players and manager and everyone who interacts with them keeping banging the drum about NOT allowing Arsenal to finish behind Spurs. Can you imagine that, Spurs going for the title, in their best season ever in recent seasons yet finish behind Arsenal. Small consolation on missing out on the big one for us but one I rather have then not have. I think if we do miss out on the title, there should be a post mortem, that should include the performances of every player, every major decision of the manager, the performance of the board / major shareholders but that post mortem should wait until the season is over. Going back to what Ian Wright said yesterday about the club – he was asked ‘Why’? Why we fell apart, why we seemed to ‘bottle’ key games? – his answer was fairly simple, ‘Mentality’. He was strong in indicating that he doesn’t think changing the manager is necessary what is needed but for the manager buying a few players with leadership qualities and that winning mentality that is so key to winning league titles. We have the odd one, but need more and I don’t think many Arsenal fans would disagree with him – yes many of them may want a change in manager TOO, however, will not argue on the mentality / leadership front. Wrighty remembers when Dennis Bergkamp first came to Arsenal and had Adams, Bould, Dixon, Seaman etc around him, that made him stronger despite already having a winning mentality. The way Wright spoke about the club was a joy to hear and I hope the players can show similar passion in the remaining games – we have seven games and we want seven wins. 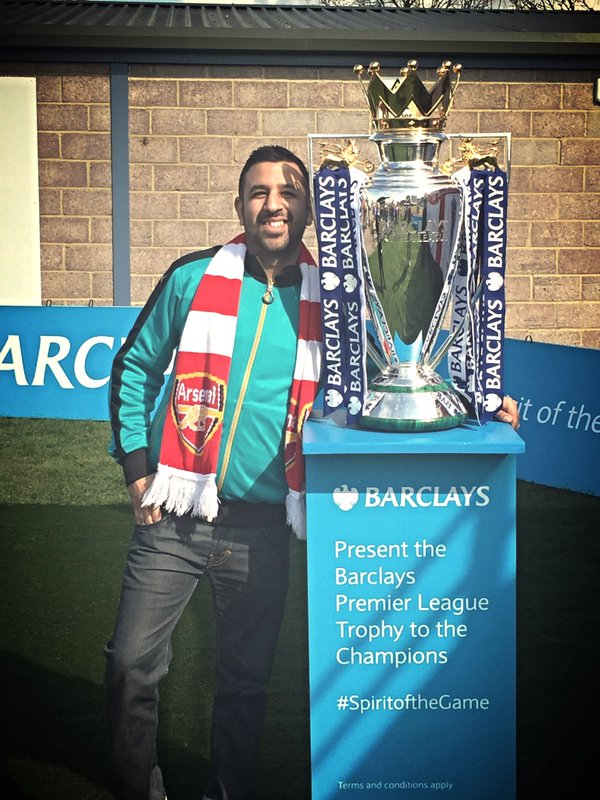 You know what, Leicester probably won’t slip up despite having some tricky fixtures against Manchester United and West ham but for God sake Arsenal, please win your games….just in case.